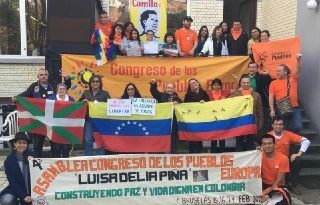 La Organización Nacional Indígena de Colombia – ONIC, denuncia, rechaza, repudia ante la opinión pública, a los organismos defensores de los Derechos Humanos nacionales, internacionales y a las instituciones del Estado colombiano responsables de garantizar la vida y la integridad de los Pueblos Indígenas, el asesinato de un dirigente indígena Embera en el Riosucio Chocó de CAMIZBA – ASOREWA. 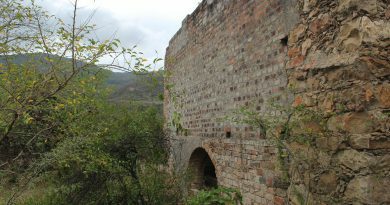 Se trata de Aquileo ‘Aquileito’ Mecheche Baragon, del Resguardo de Rio Chintadó jurisdicción del Municipio de RioSucio, ex presidente del Cabildo Mayor Indígena del Bajo Atrato CAMIZBA – ASOREWA, y rector desde hace siete años de la Institución Educativa Indígena Jagual y defensor de DDHH. • Urgent fulfillment of agreements of last November in # MingaChocóPorLaVida by the National Government with comprehensive measures # NosEstánMatando. The National Indigenous Organization of Colombia – ONIC, denounces, rejects, repudiates before public opinion, the national and international human rights defense organizations and the institutions of the Colombian State responsible for guaranteeing the life and integrity of Indigenous Peoples, the murder of an Embera indigenous leader in the Riosucio Chocó of CAMIZBA – ASOREWA. It is Aquileo ‘Aquileito’ Mecheche Baragon, from the Chintadó river jurisdiction Reserve of the Municipality of RioSucio, former president of the Indigenous Cabildo of Bajo Atrato CAMIZBA – ASOREWA, and rector for seven years of the Jagual Indigenous Educational Institution and defender of Human Rights. 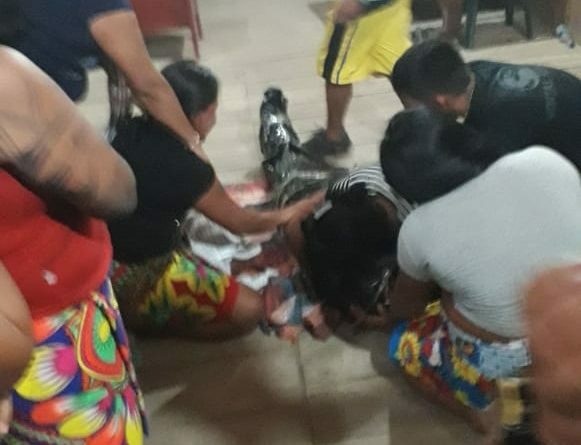 The incident occurred last night in the municipal seat of RioSucio Chocó, April 12, 2019, at 10:00 pm. 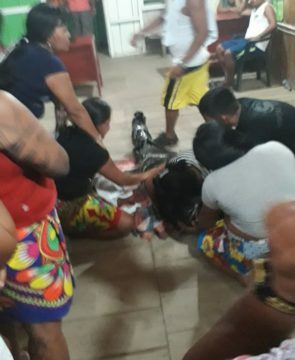 The indigenous leader Aquileo Mecheche Baragon, 52 years old, was taken from his residence and killed diagonally from the CAMIZBA facilities after receiving three shots to the face. Precisely after leaving the territory a humanitarian mission, because of the high risk suffered by indigenous and Afro communities and peoples in the region. News in development. Additionally, Comrade Mecheche was one of the leaders who headed the Minga del Chocó, which was held in November 2018, when more than 400 indigenous people moved to the city of Bogotá in order to demand guarantees of safety and a dignified life in their territories. Within the framework of this Minga, in direct dialogue with the High Commissioner for Peace of the Presidency of the Republic, Aquileo denounced the multiple threats received by the Gaitanist Self-Defense Forces of Colombia (AGC). 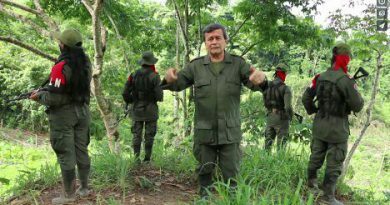 The most recent threats and harassment occurred on March 25 and 27, 2019, when men belonging to the AGC armed group entered the community of El Jagual in order to intimidate, harass and threaten the entire community, and especially the compañero Aquileo. Later, on March 27, while the community was waiting for the arrival of the Humanitarian Mission, clashes broke out between the National Army and the AGC, leaving the indigenous population in this area in the middle of this armed fire. 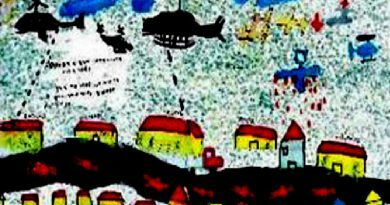 These facts were denounced by the Human Rights Council of the ONIC, and an urgent call was made to the different institutions of the State, Public Prosecutor’s Office and international organizations to take immediate and effective actions for the protection of life and the integrity of all the community and the indigenous leader Aquileo. Finally, within the framework of the National Minga for Life, the complaints, petitions and demands of these events were repeated to the National Protection Unit, the General Prosecutor’s Office of the Nation and other institutions that were present in the Minga. Specifically, an agreement was reached with the UNP, in response to evident breaches of the agreements of the Minga Chocó in November, and a collective indigenous CERREM is expected by the last week of May in the department of the Chocó. However, we consider it pertinent, and we demand immediate and effective actions by all the institutions of the State regarding the events that have occurred and those that may occur. As a result of the # MingaChocóPorLaVida last November, the National Government had assumed the commitment of verifying the situation in the territories to control this serious crisis, however, the military confrontations are permanent in the territories, generating serious risks for the communities due to the situation of armed conflict that is worsening in the region and the confrontations with the other armed actors, in addition to the violations of International Humanitarian Law that this represents, leaving so far this year, at least 8 indigenous children killed, lack of medical attention in its territory, and needed departure to other places in search of medical help. It is imperative that protection measures be accelerated, in coordination with the indigenous authorities, and that measures of spiritual and physical protection be taken to harmonize and prevent the multiple human rights violations that threaten the ancestral indigenous territories and the survival of our peoples. 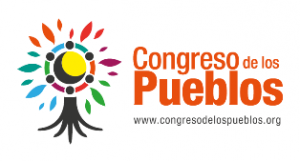 As the National Indigenous Organization of Colombia – ONIC, we accompany and we stand in solidarity with the fraternal peoples and indigenous and Afro-descendant organizations of Chocó, in the face of the serious situation of human rights and the rights of the Peoples that the Department of Chocó as well as other regions in general face. Given these facts, as ONIC we reiterate the call of URGENT SOS to all the institutions that guarantee human rights both nationally and regionally, to comply with the agreements signed in #MingaChocóPorLaVida to guarantee Life and Autonomy and other rights that assist the affected Indigenous Peoples, let us not expect more murders, we hold the National Government responsible for any other criminal and violent act that may occur in this area. To the international community to watch over the fulfillment of agreements, and protection of Life. ¿Aceptarán víctimas de Santo domingo, Arauca, las disculpas del Estado colombiano?